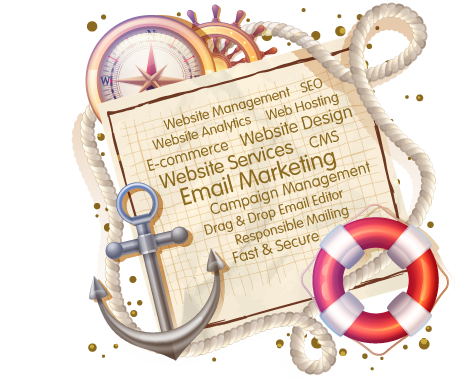 Lifeboat Marketing provides managed online marketing services to clients across all business sectors. Our Onboard products & services include Email Marketing, Website Design & Management, Search Engine Optimisation, and Web Hosting. All of which can be accessed through packaged solutions designed to provide simplicity, flexibility and value for money. Promoting your products or services by email is the perfect method to engage and develop good relationships with your targeted audience. 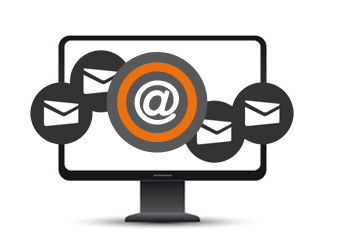 Our specialists take care of every aspect of email marketing ensuring you send out professional, effective emails to connect with your subscribers. Experience top delivery rates from our authenticated UK servers with industry leading email software at a sensible price. .
With our help you will soon begin to see what the benefits of sending email broadcasts can offer your company. There’s only one chance to make a first impression – so make it great! A well designed website that’s easy to use, clearly explains who you are and what you do whilst promoting a professional image is crucial. Websites shouldn’t just look good, they should work to drive leads, sales and deeper engagement with your customers. 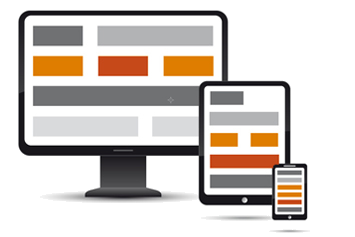 Our web design & management services are tailored to your individual needs. Your project is handled efficiently and effectively whilst maintaining high quality as standard. Whether you’re looking for help with a specific task or in need of a complete overhaul, your Mayday call will receive a fast & professional response. Lifeboat Marketing will listen too and understand your requirements, while giving honest open and positive guidance. We offer a lifeline to those who feel trapped and in need of assistance. Our approach & efficient work practices deliver cost-effective online marketing solutions to fit your budget. Lifeboat Marketing can help you plan your marketing strategy while providing a clear direction, innovative ideas and practical solutions to achieve maximum results for your business and online presence. We offer a full range of products & services. These include Email Marketing, Website Design & Management, Search Engine Optimisation (SEO) and Web Hosting. If you are looking for fresh ideas to revitalise your online presence or simply don't have the time to manage your website & marketing campaigns, then get in touch today. Our team will be glad to help.